My latest cupcake creation. This is my take on a pub favorite of pretzels and beer. I call it “The Dark Ale PubCake”. 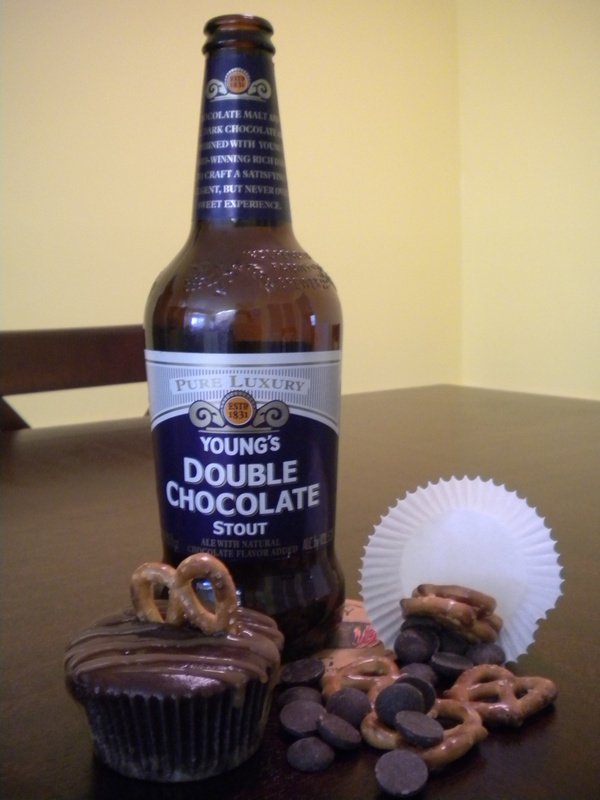 This is a dark chocolate cupcake infused with Young’s double chocolate stout beer. 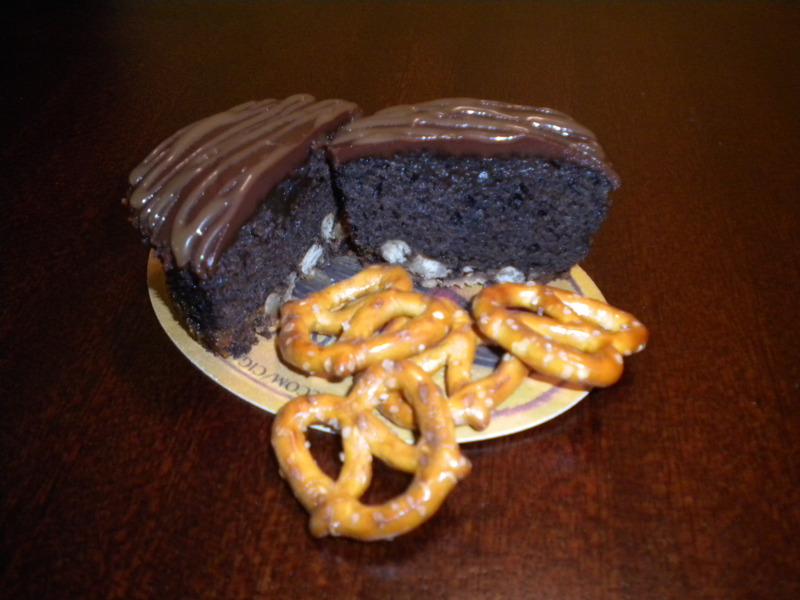 This cupcake has a pretzel bottom crust and is topped with a bittersweet ganache and drizzled with a homemade salted caramel. The garnish, a pretzel. These are available through LRBK for $30 per doz. (1 doz. minimum). Salt, Dark and Handsome Caramel… Shwing! Looks so rich and tasty!